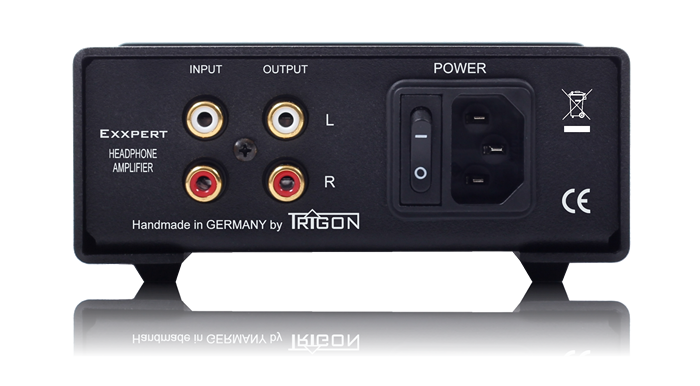 TRIGON EXXPERT – to make your head heard properly. Listening to music using headphones is gaining in popularity. In order to become a music genius from listening to music, these special sound transducers require a drive through an equally special amplifier. 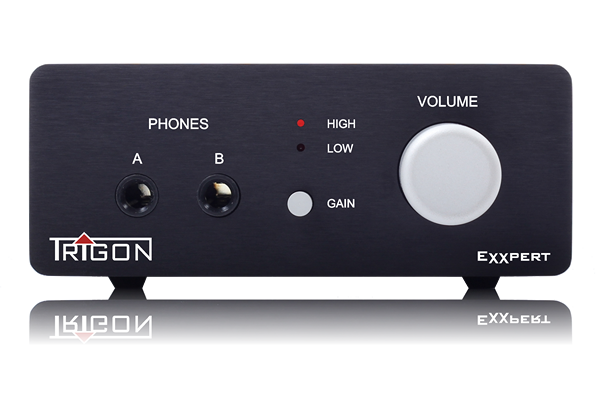 The circuit design of the Exxpert headphone amplifier is optimally adjusted to the technical parameters of headphones and ensures that the music is in the ear - and remains in the head. The Exxpert in this field allows you an intense, highly authentic music experience. But not just you, invite someone to share this experience with you - the Exxpert has two headset ports. Special attention is also paid to the power supply in order to guarantee the best working conditions for the processing of the musical signals. The outward appearance of the Exxpert is as well thought-out, valuable and reduced to the essentials as the inner life. 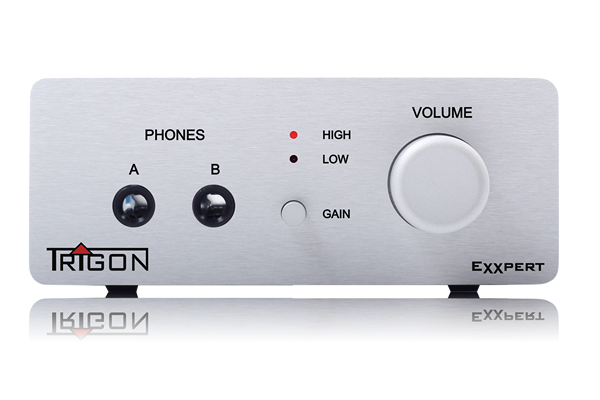 Silver and black anodised solid aluminum, textured or alternatively silbergrau or anthracite nextel coated steel characterize the appearance of this headphone amplifier. The combination of the front and housing versions allows you to harmoniously fit into the environment and the living space. Give your headphones to the Exxpert to keep you from nothing: neither the fascination of the headphones, nor the emotions of authentic musician life.